This showed up on eBay recently and I am guessing that “Charmmy” is not an official friend of Hello Kitty? Anyone else out there know more? 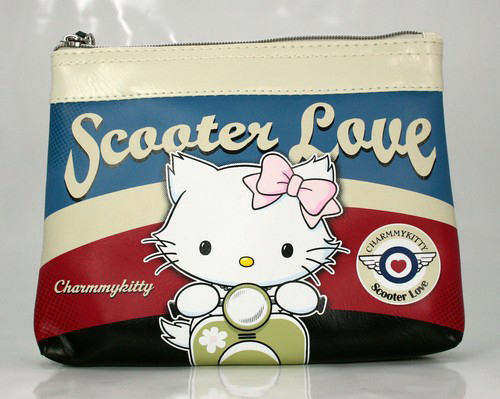 This entry was posted in Bags and tagged bag, charmmy, hello kitty, pouch, scooter love, vespa by Tracy. Bookmark the permalink. she’s Hello Kitty’s official sycophant!